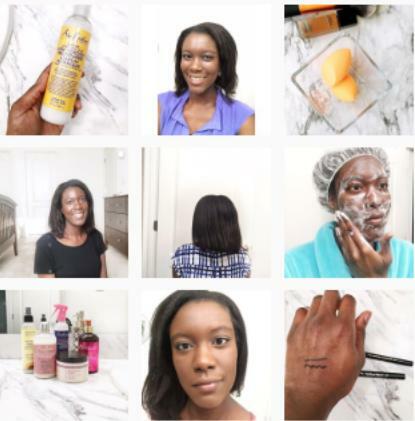 October was kind of a month of evolution and me getting even serious about blogging. First off I decided to try a new social media scheduler for Twitter and Facebook called RecurPost. Previously I was using Hootsuite which I liked and had no technical issues with. The one feature I wished Hootsuite had was looping content. With looping content I could reuse past tweets and posts saving me lots of time and effort in recreating content. Time that I could put towards other things. This is where RecurPost came in. I heard about RecurPost in a Blogging Facebook Group I'm a part of. I decided to give it a try and see if I liked it. Before I get to far let me tell you about Recur Post. It's a social media management platform for Twitter, Facebook and LinkedIn. You can either upload your content or input it manually. Right now I'm using the free plan of RecurPost to only post my own content on Twitter and my Facebook Page and using Hootsuite to post the content of other bloggers. So far I'm loving the recurring feature of RecurPost. I've spent less time creating tweets and posts every week and I've seen steady engagement on my Twitter account. The only downside is the free plan only allows you to have 100 pieces of recurring content. That really isn't much if you have more than 100 posts. The second thing I did in October was started capturing emails. I didn't have an email list in place and it was something I kept meaning to do and kept putting off. I finally decided to bite the bullet and start collecting emails. I'm using the free plan of MailerLite which allows me 1,000 unique subscribers a month. So far I've only sent out one newsletter that included a freebie. Now that I've shared a bit about what happened in October it's time to dive into the monthly stats. 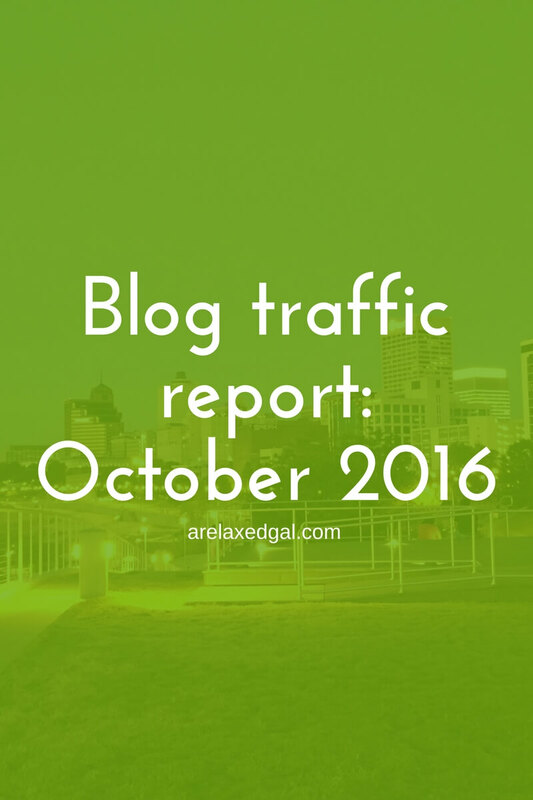 I share my monthly traffic reports partly to hold myself accountable and help me keep a closer eye on my monthly stats. I’m also doing this in the hopes of helping and encouraging other bloggers who are looking to grow their online presence. I check my blog stats at least once a week to see how I'm tracking and if there are any changes I should make to the content I'm promoting, where I'm promoting, etc. So imagine my surprise when a few days from the end of the month I saw that I was a few hundred pageviews away from 6,000. I wanted to jump up and down (actually I think I did). I was even more excited when I crossed 6,000 and couldn't wait to put the numbers into the spreadsheet I use to track my blog and social stats each month to see what the month-over-month increase was. I'm so glad that I created the spreadsheet I use because I can easily go back and see what my numbers were for the previous month and what the month-over-month gains/losses were. 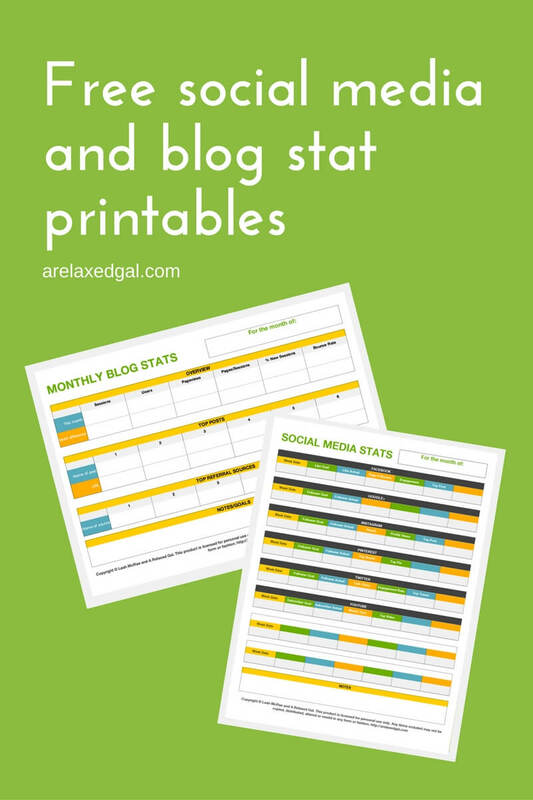 If you're not using anything to track your blog and social stats I highly recommend you find or create something. You know what, I'm going to make it easy for you and give you access to a printable version of my blog and social stat trackers that you can use for your blog. All you have to do is sign up using the form below. I decided to dig a little deeper into my traffic drivers this month and saw that Pinterest drives about 52% of my total traffic and that percentage has been increasing each month. While this is good news I don't want to be totally reliant on Pinterest for my traffic so I need to work on diversifying my traffic sources. Organic is driving about 24% of my overall traffic and I'd like it to be about 30-40%. Especially when the organic traffic has a lower bounce rate and spends more time per session on my site. You'll see this reflected in my goals that I'll be looking to implement some things in November that will, hopefully, have a longer-term positive effect on the organic traffic I get. Since I started tracking my social stats this is the first month were I saw a loss in followers. To put a positive spin on it, they were Bloglovin followers and I really don't try to increase or maintain my following there. As I am every month, I was surprised to see any gains on Google+ and YouTube since I don't much of anything on either platform. In October I had little drive to create new content. You may not have been able to tell because I had a few weeks of posts already created and scheduled and I did write and post a few new pieces of content. Since I didn't feel much like creating, I decided to spend time promoting my existing content. As I've mentioned I started using RecurPost for my tweets and that's when I started seeing pageviews from Twitter. Granted it wasn't a lot, but before I started using RecurPost Twitter didn't show up in my list of traffic drivers. Now it's in the top 10. I'm hoping with continued use and RecurPost determining which tweets are better performing I'll see Twitter rise in my list of traffic drivers. Additionally through RecurPost I've been able to post to my Facebook page at least once a day. I don't even have to think about it or write posts every day to make that happen. I wish I'd started using Recur Post sooner. This has been a slow growth channel for me. Mainly because I find it time consuming to take or find pictures, try and write a compelling caption and schedule the post. So I end up posting sporadically throughout the month stunting my growth. To be honest I don't really see any traffic from Instagram so I've decided I'm ok with that and will focus my attention on other channels that I think will be more beneficial for my blog. Yep I'm going big for November. To do this it goes back to promotion and optimizations. This will also help increase my pageviews. During November, I'll be going through my old blog posts to review keywords, update metadata and add related post links. As noted above I started an email list in October and haven't done a whole lot to promote it. I'll be doing research and working on ways to increase my subscribers over the next few months. Right now my list is at 5 so you can see I have a way to go. Part of what sometimes delays my blog or social posts are the lack of appropriate images. So I decided to get around that problem by creating my own image library. I've been shooting my own stock images using props around my house and my iPhone. I want to continue doing that in November so I have a greater library to choose from. What blog or personal goals did you achieve in October?